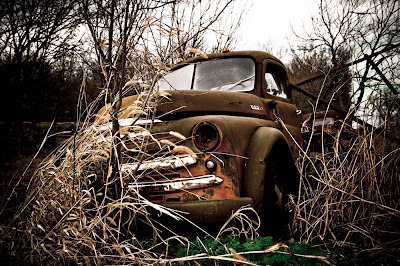 Tom, I love your photos of old trucks and automobiles. I always wonder about who was the first owner and how proud they must have been to own such a fine machine. I also wonder if they're still around or have passed on. Just a thought. These trucks sprinkle the countryside, and each has its own character. 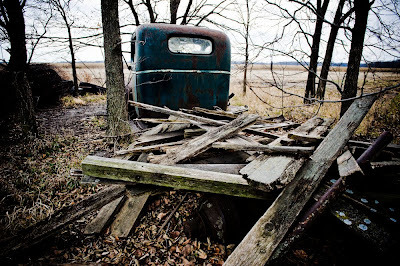 I could happily spend the rest of my days roaming the Kansas prairies in search of old trucks. Come to think of it, I know a pair just outside of town that haven't been photographed yet... Something for my next project, heh heh.